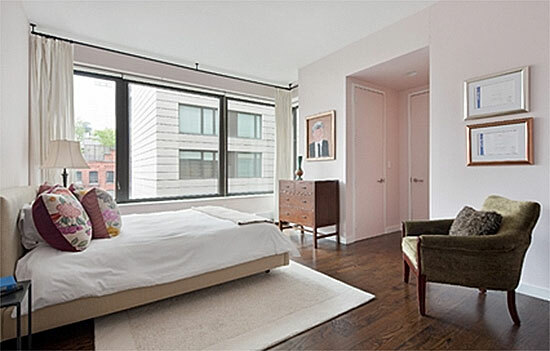 When windows and a skyline view are the focal point of a room, remember to make them sparkle. 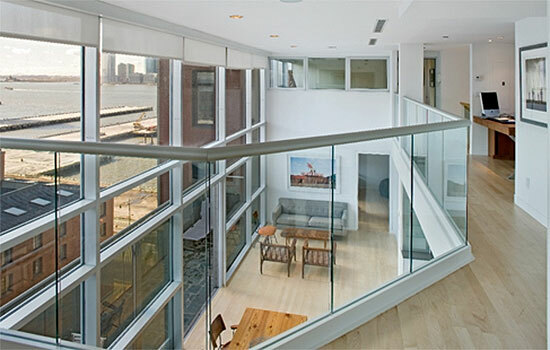 The Glass Condominium, 88 Laight Street, 7th Floor - Tribeca, New York. Clean, clear bathroom counters and floors signal a well-cared for space. The River Lofts, 416 Washington Street, 4E - Tribeca, New York. When displaying personalized art, consistent framing can help unify a gallery space. 505 Greenwich Street, 9CD - SoHo - Nolita, New York. One prominent piece of art can add visual drama to a sleekly sophisticated room. 75 Grand Street, 2W - SoHo, New York. Industrial details balance architectural fine points to create an eclectic space with impact. 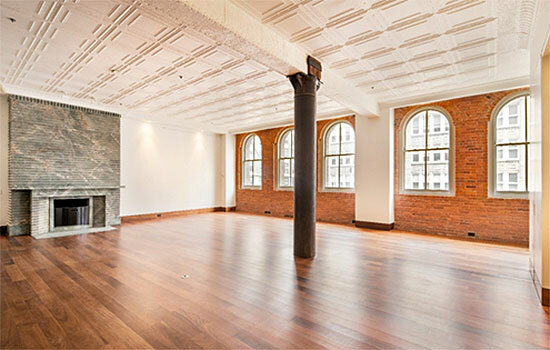 169 Hudson Street, 2N - Tribeca, New York. 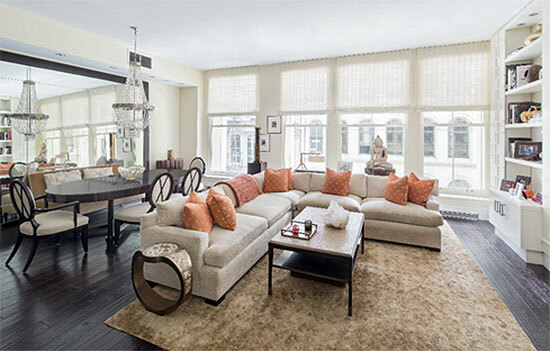 To add depth to a room and maximize the natural light, consider oversized mirrors. 51 Walker Street, 5B - Tribeca, New York. 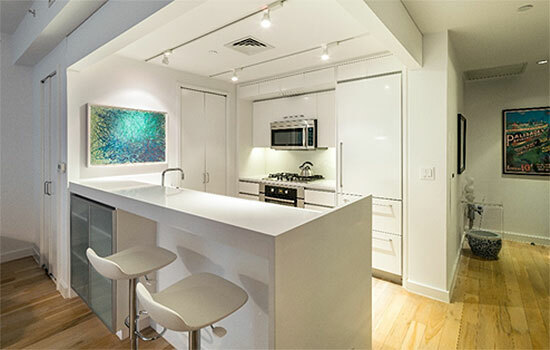 Even compact kitchens can benefit from one dramatic piece of art to serve as a focal point. 50 Franklin Street, 2A - Tribeca, New York. Buying and selling houses may keep the economy moving, but for individual homeowners the process can be daunting, to say the least. For real estate experts like Matthew de Groot 11Ox 13B, a residential agent with Douglas Elliman Real Estate in New York City, "Establishing a game plan begins with truly understanding the changing dynamics of the local market," he says. "Detailed area knowledge is critical to transactional success and, more importantly, to client satisfaction." 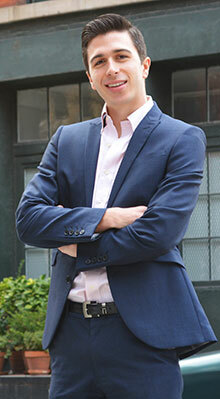 As part of the Walker Team, de Groot works with team leader Jason Walker, a top ten producer at Douglas Elliman. "We are privileged to close multi-million dollar real estate deals with everyone from a princess of a Middle Eastern country to box office stars," de Groot says. "But it is equally important and fulfilling for us to meet the everyday needs of working New Yorkers and out-of-towners wanting to settle in our city. It's the personality of our neighborhoods that makes going to work every day so exciting." Tweet this: "Maximize spring real estate market potential with spot-on advice for buyers and sellers." In addition to understanding competitive pricing and financing models, de Groot digs deep into the social structure of his market. "Clients want to know exactly which celebrities live in which building, where the trendy social spots are, and what developmental changes are on the horizon," he explains. Concentrating the majority of his business on the tight area that defines SoHo, TriBeCa, and the West Village allows de Groot to specialize. "It's my job to analyze my market and share that knowledge with clients." "Our business area represents a microcosm of New York City, with its own economy, night life, and day-to-day work-life balance," he explains. "By understanding the intricacies of neighborhood buildings and blocks, I can better advise my clients on how to sell or choose their homes." Competition begins with "Eye Candy"
From both the buyer's and the seller's perspective, a home's visual appeal is the first measure. "Every showing is a potential win for both buyer and seller," de Groot says. "Make the most of every opportunity to close the sale." Clean up and clean out. Evaluate your possessions with a hypercritical eye. If something isn't absolutely necessary, does it really belong in your space? The rule of thumb is to declutter the most obvious items like magazines, books, toys, and off-season clothes, then pre-pack and store offsite an additional 25% of your belongings to create visual space. Renting a small storage space for boxes may help you sell your home faster. Create utility. Once the space has been cleared, stand back and imagine yourself in the buyer's shoes. Will the buyer clearly envision a functional workspace? Is the entertainment center well defined? Can someone imagine where coats might be hung or holiday decor placed? If not, you might need to pare back even a bit more. Create visual drama in every room. Create "eye candy." Each space in your home has the potential for staging a bit of drama. Lifestyle magazines and Pinterest can give you great ideas for boosting visual impact in your space - without spending a lot of money. Make your home's unique architectural features prominent, and showcase fine details. Establish your financial limit. The biggest mistake buyers can make is overextending beyond their comfortable financial limit. Work with a financial advisor to establish your maximum monthly cash outlay, then seek mortgage pre-approval before beginning the hunt for a new home. In addition to your family's monthly bills, remember to consider the price of a home, plus all associated expenses like taxes, monthly association dues, and parking fees. Add bonus wishes to your list to define your dream home. Go ahead and add those "nice to have" items to your wish list for a dream home. If you find one listing that meets every requirement, it's meant to be. View listings with an open mind. Clutter can be cleaned. Paint color can be changed. Furnishings can be cleared out and replaced with your own. Decorating style should not deter you from seeing a property's true potential. Evaluate architecture for future renovation and imagine beyond the items in a room. For more information on the listings shown in the photo gallery please visit here. Editor's Note: Prior to joining Douglas Elliman, de Groot worked with another prominent residential real estate firm in Newport, Rhode Island. He began his career in the commercial real estate market while attending Goizueta. He also shares experience in financial planning. De Groot and his partner Justin Brasington 11Ox 13B, a marketing analyst with Macy's, have settled near One World Trade Center and are saving to buy their own New York City home.